Hispanics make up 23% of the population in Florida – with Miami-Dade and Broward counties as the epicenter of this community. The participation rate for this culture in hospice care has been historically low. OpusCare plans to identify the factors that lead to general underutilization and hesitancy toward hospice care by Hispanics, with the hopes of better meeting the needs of Hispanic patients and becoming a trusted partner in the community. The results of the year-long research project will be included in a final report made available by July 2018. FHPCA awards grants to support the research of member programs. The association encourages clinical or operational project submissions that will add to the body of knowledge for hospice and palliative care. 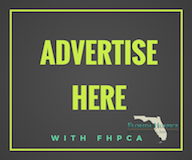 To stay up to date on the next application cycle, please visit FHPCA’s website at www.floridahospices.org. OpusCare of South Florida is a nonprofit organization serving the Miami Dade county community since 1991. They are dedicated to providing patients and their families excellence in palliative care and support services when faced with a terminal illness. OpusCare provides a customized individual program where “Dignity Care” is their number one priority.